Sadly, the Yak is still running pretty high, but there is hope in sight. It has cleared up quite a lot around Cle Elum, so all we’re waiting for is for the water to slow down a bit, then we’ll be back on the water. Hopefully by Sunday things will be fishable again, and maybe even tomorrow. There have been a ton of caddis around, so prepare to fish caddis and probably even chuck some streamers once it’s back in shape. If we aren’t able to fish the Yak, then just remember that bass have been taking top-water. I know most fly fishermen love their trout, but I highly recommend trying for some bass. It’s hard to beat how hard some of these fish will crush your fly! They aren’t very picky about flies either, and any of your trout streamers thrown on a floating line will work just fine, and of course poppers are great as well. They’re very surface oriented, so you don’t have to worry about getting it down. I haven’t heard any updates on the high mountain lakes other than Cooper still being snowed in about 2 weeks ago, but hopefully they’ll all be snow free pretty soon. If you’ve tried to get up to the lakes, send us your report! 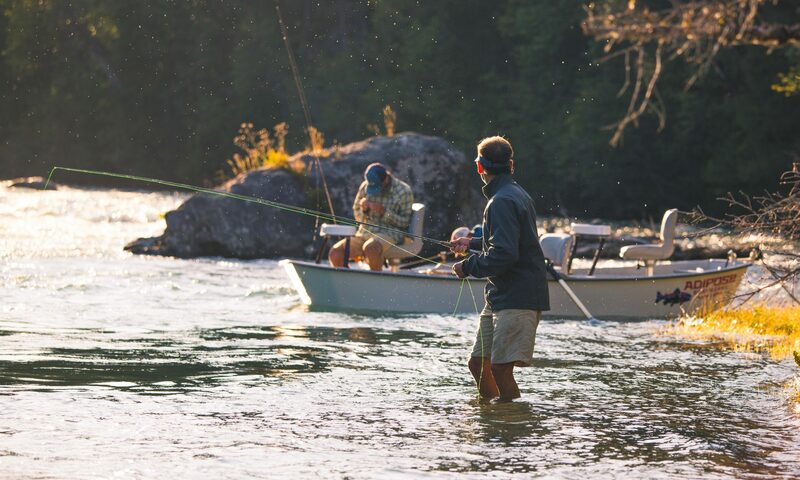 I’ll be putting river updates on our Instagram story, so follow us at troutwater.fly.shop to stay more up to date!